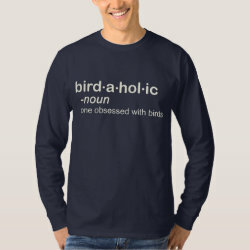 Use this handy birder design to help all of your non-birder friends understand your affliction. 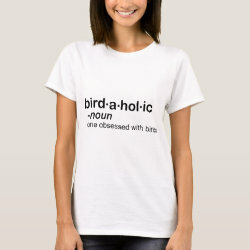 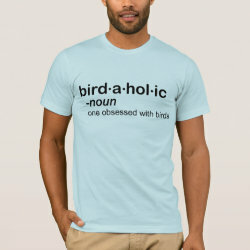 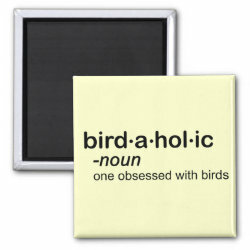 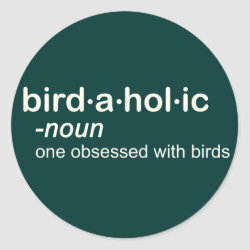 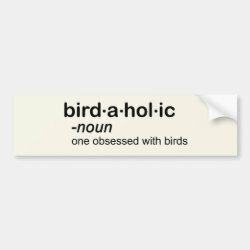 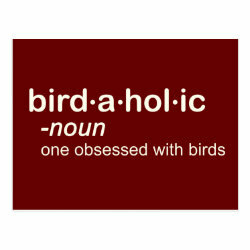 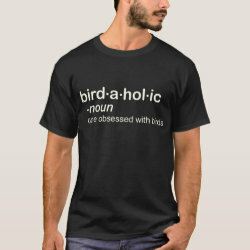 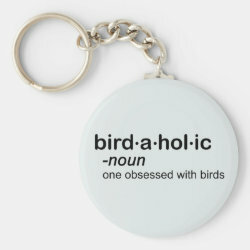 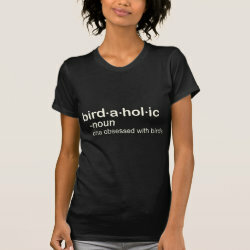 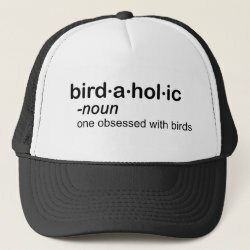 You are a bird-a-hol-ic (pronunciation also provided) - one obsessed More... with birds. 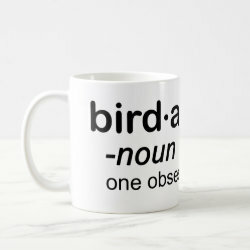 You might also say you're obsessed by birds, but with sounds more inclusive, don't you think? 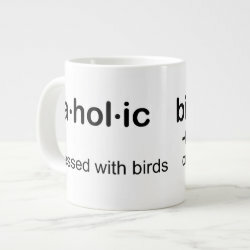 You are the birds are in this together.